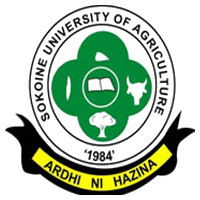 Applications are invited from suitably qualified Tanzanians to fill the following vacant position under THE CYSTINET PROJECT based at SOKOINE UNIVERSITY OF AGRICULTURE. A HAND WRITTEN application letter accompanied with CV or Resume, Birth, Academic and Professional Certificates and names of at least two referees be addressed to the DEPUTY VICE CHANCELLOR (ADMINISTRATION AND FINANCE), P.O.BOX 3000, CHUO KIKUU, MOROGORO; to reach him not later than TWO weeks from the date of this advertisement. Presentation of forged academic certificates and other information in the CV is a criminal offence and will attract legal action. • Holder of Certificate of Secondary Education Examination (Form Four). • Possession of a Certificate in laboratory Sciences will be an added advantage. • To clean laboratory premises. • To maintain Laboratory Apparatus and Equipment. • To undertake basic sample preparation and processing. • Performing any other related duties as may be assigned from time to time by the project leader. Contract for two years renewable subject to impressive performance and conduct. AGE: Not above 35 years old. SALARY: As per Government Salary Circulars and Project Agreement.